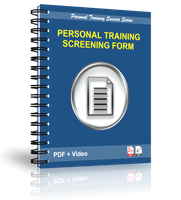 Which Personal Training forms will help you perfect your Personal Training business? Find a complete list of Personal Training forms here. As a Personal Trainer you will need a number of forms to make life easy and to capture information, clearly inform your clients and protect you legally. What forms will you need as a Personal Trainer? Here is a list of the major forms you need as a Personal Trainer and what each would usually be used for. A form that allows you to record for the client their exact situation and ideal situation, and then layout a sensible pathway between those two points. This includes describing clearly the Personal Training support required to ensure the journey is as enjoyable, risk-free and successful as possible. Informed consent form A form that is signed by the client giving their consent to exercise and stating they have fully disclosed all items that may in any way affect their exercise participation. A form that covers all of the policies and terms relating to the relationship struck between client and Personal Trainer. It protects the Personal Trainer and client and eases communication by laying everything out in writing at the outset of the training relationship. Forms that are used to record the data required from each type of fitness test and enable the easy calculation and comparison of fitness progress for the client and Personal Trainer. Progress review form A summary form which is used to guide a training review process. This form incorporates all fitness testing results reporting them as a % improvement. The form also collates attendance against planned attendance and progressions against planned progressions within the training. The form also has space for easy analysis of what factors are affecting the clients attendance and progress so changes in the approach being taken become obvious. Referral form A simple form that is similar to an enquiry form but includes space for recording a referrers name and details which is particularly useful should rewards / incentives be in place for those referring. As you can see there are potentially a lot of forms required to streamline your Personal Training business. Having on hand the correct form for the correct task really does save a lot of time, protects the Personal Trainer, accurately records and informs the client and is a great opportunity to display tangibly the professionalism and thoroughness a Personal Trainer should have. With Personal Training becoming a more defined and respected profession it's important to have all the tools in your tool belt ready for use with each client you encounter. Why would you use these Personal Training Forms? As mentioned the use of forms streamlines your business, saving time and money, and informs your clients whilst protecting you. Additionally they allow you to portray yourself in a professional manner and build confidence in your current clients whilst re-assuring your prospective clients. As Personal Trainers we essentially swap money for time. We primarily earn income from training people. As such anything we can do to eliminate non-income generating activity or 'automate' it as much as possible through the use of forms, saves us time and allows us to earn more. In this sense the use of forms is income optimising and also gives us the opportunity to increase customer communication and satisfaction without extra effort. How can you use Personal Training Forms to improve your PT Business? Whether you're setting up your Personal Training business or you're optimising your existing Personal Training business, forms that relate to key areas should be reviewed. Some will then need to be refined through practise (that is, use them on friends and family until you are achieving exactly what you want in every regard using the form), and then brought in to the business updated. They should then be used 'without exception'. We say without exception because once you have 'sured up' an area of your business using a form that guides the process in that area, the last thing you want to do is then drift back to the old practise which wasn't producing the right result. It's a common mistake when you analyze your business, work out what needs to happen, systemize the area with a well thought through process and associated form, get the improvement in results and then - for some unknown reason - forget what got you there and either stop using the form or use the form without sticking to the process you built around it. We see many examples of this and it costs Personal Trainers a lot of clients and therefore money. For instance, if a Personal Trainer is not converting leads very well into clients they may review their consultation process and form. After a few weeks of work on refining the form and how they are using it they are now doing a great job with prospects, gaining their commitment to Personal Training for many months and signing up over 80% of those they complete the consultation with. Two months later they get over confident, start skipping sections of the form or doing their consultations 'freelance' and soon enough, as sure as eggs have shells, they are back to a 40% conversion rate. Why? It's not that they can't do the process or use the form - it's just they think they can do just as good a job without one. They forget that even when you are excellent at the process the form is still there for the client to follow with their eyes and hearts. This is particularly the case for consultation forms. Personal Trainers need to remember that prospective clients are going through a lot rather quickly and often for the first time. When new members come into clubs having a clear written history of what they are working on, why, and how progress will happen is very re-assuring and makes those members much more confident in committing money to the solution a Personal Trainer may craft for them. When would you need each of the Personal Training Forms recommended? In the table below we outline when each form would likely be used by a Personal Trainer. To capture the results of marketing efforts whether they are personal approaches, calls, drop boxes, referrals etc. You'll likely use this form daily when growing your business. Enquiry form Given to your referral team and often used with display pieces such as drop boxes or posters. When you are formally establishing what training pathway would be best for a potential new client. You'll use this form with every prospect you get to complete a training consultation with you. Informed consent form Used at the start of every new client training relationship. Used at the start of every new client training relationship. Used at the start and during the training relationship based on the type of testing required by each client. Progress review form Used with existing clients every 4-8 weeks depending on the goals, rate of progress and client's circumstances. Referral form For clients and/or your referral team depending on how you are operating your referral team. Used whenever you receive a referral. Weekly client performance summary form Used at the end of each week to track how your clients are going and therefore how well you are achieving your business goals of effectively supporting your clients. Which ONE Personal Training Form is the most important and why? Yes, there are a lot of forms that you'll need for a super efficient business but the single most important form you can ever lay your hands on is a comprehensive client consultation form. Higher conversion rate - a great consultation process and form results in many more clients signing up willingly as they can easily see their ideal situation defined in front of them and a believable pathway to achieving that situation layed out by the Personal Trainer. Clearer expectations - the consultation form clearly outlines the client's expectations first (so a Personal Trainer understands early in the consultation how the client views Personal Trainers and what their services entail) and then at the end outlines the expectations of both the Personal Trainer and client. Longer client relationship - the consultation form allows the Personal Trainer to put their best foot forward, to start with clear communication, to gain a deeper understanding of their client and their client's motivations, and to forecast potential barriers. Once a Personal Trainer knows their client well and they can quickly deal with any training challenges more easily and the client gets better results, better service and stays longer. Higher frequency of spend - the frequency a client trains with a Personal Trainer will often relate to how their initial training plan was put together within the consultation process. The consultation form lends itself to a higher frequency of training as it focuses on eliminating any of the risks of 'not following through' for the client and clearly identifies the benefits of the sessions planned within the first month. The result is a client who Personal Trains more often and gets into that habit. Higher average spend - the price of your Personal Training stands up well to any scrutiny when it is inherently linked to the result the client is after. The one-month training plan portion of the form is the perfect place to focus the client on their result and, once a client can see how they can achieve exactly what they want to, the price of your Personal Training is rarely an issue. Increased referral rates - satisfied clients won't refer if the experience they went through with a Personal Trainer has any 'weak' links in it. Think about it, even if you are satisfied overall with the outcome of a product or service you won't willfully refer unless all aspects of the product or service were spot on and particularly the process of starting out (which in this case for a referral would be a consultation meeting). Clients who are both satisfied with the outcome and the entire process will refer - in this way having a great consultation process and form can dramatically increase referral rate and is also a great offering to stimulate referral because of its high perceived value. Faster results - a client who makes less training mistakes and is more committed gets faster results. A consultation clearly identifies the potential pitfalls for a client in their training and heightens their commitment to training properly to achieve their result. Most clients have never had a comprehensive and thorough consultation before and are usually excited and pleasantly surprised by the process. Better legal protection - with so much, so clearly defined within the consultation form the client and Personal Trainer are working from a much better common ground. Any gripes are very unlikely to occur as the plan and approach was agreed at the outset in writing. 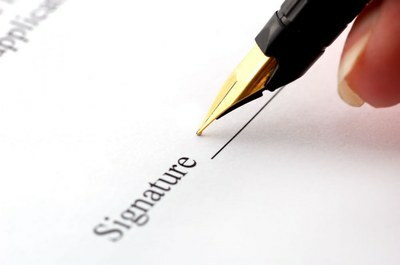 The client contract documents then further reinforce protection for both parties. Higher adherence to prescriptions - with a full consultation, a training plan and a friendly and capable Personal Trainer by their side most clients feel completely different about their training - a lot more positive, pro-active and committed. The end result is a much greater adherence to their training and a much better experience at the club. Hands down if you want to put your Personal Training business on the fast-track this is the one form you should lock into your arsenal immediately. If you already have a consultation form but you haven't reached your financial and lifestyle goals yet, then consider very carefully whether the best thing to do in your Personal Training business for the next few weeks is to review your consultation form, refine it, practise and put an improved process in to play. If you'd like a comprehensive consultation form that has been refined and improved over the last decade and is likely used by more successful Personal Trainers than any other form - then you can download it here for free. The consultation form comes with an excellent introductory video to using the form full of fantastic tips that make using the form a breeze, allowing Personal Trainers to quickly produce outstanding consultation results. Guaranteeing client safety is vital in Personal Training. This proven PAR Q form covers all the latest requirements for Personal Training. Claim your FREE copy now .